This is the first icon I've painted on wood, using acrylic paints. I was suprised at how easy it went. 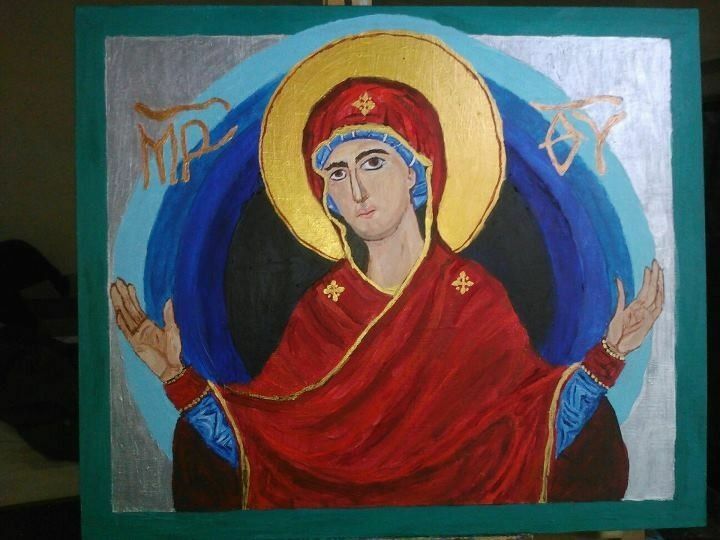 I could have made the lips stand out a bit more, but I was afraid of making the Mother of God look like a bit of a lush.